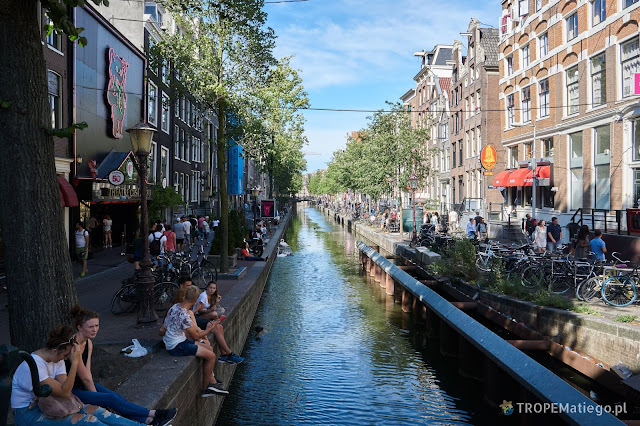 Amsterdam is not only known for its numerous canals, coffee shops with marijuana or red light district with prostitutes and sexual gadgets. 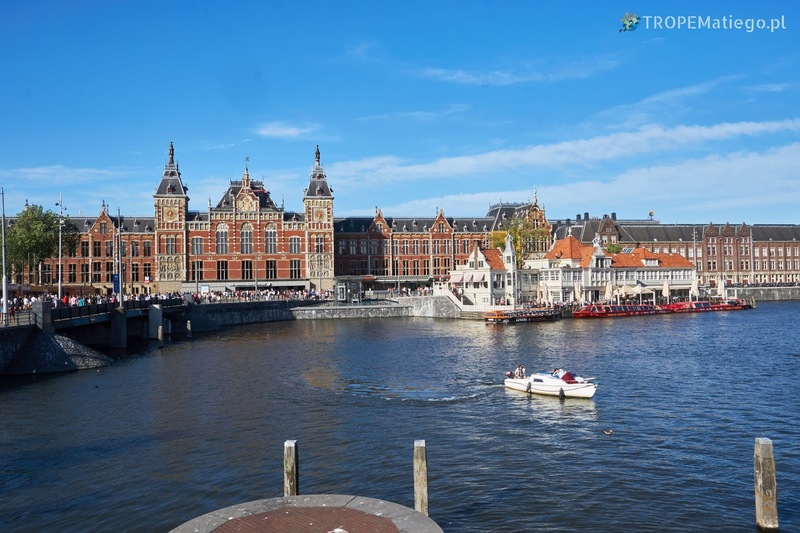 Amsterdam is a also great cultural center full of world class arts and cultural events. 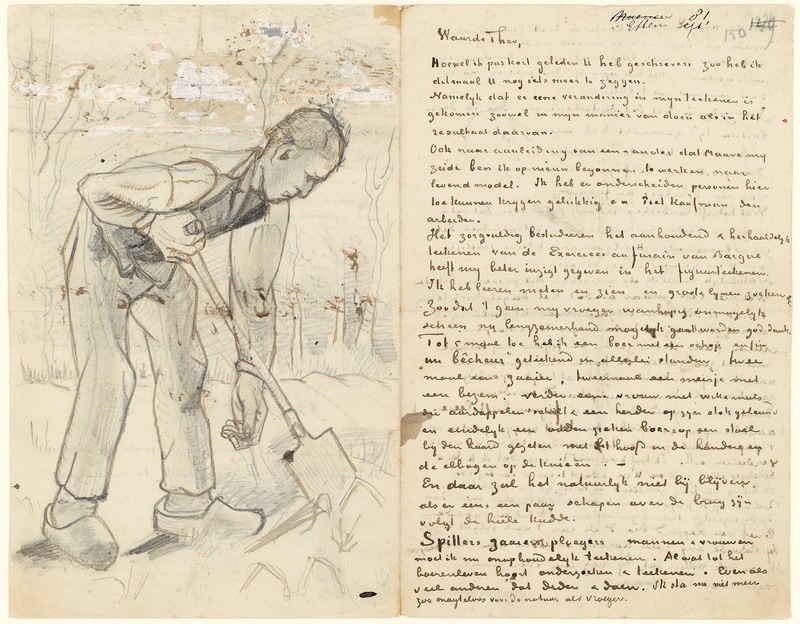 It's very difficult to describe in a few words history of the Dutch painter Vincent van Gogh. He worked at an art dealer, but he wanted to become a pastor. He did not pass an entry exam for theological studies at University of Amsterdam. Still he felt deep vocation, so he worked for the church. His "vocation" was to deep for the church, so they dismissed him. Later he had unsuccessful relationship with prostitute. His brother convinced him to study in The Académie Royale des Beaux-Arts in Brussels, then in Antwerp. He treated painting and drawing in very professional way. For many years he studied and practiced technique to paint his first painting. He worked hard. Happily for him, he moved to Paris, to the world art center in that times. Many famous artists met there. After two years in Paris he moved to the south of France to Arles. He was looking for the so-called "Japanese light". At that time, many artists in Europe were fascinated by the arts from the Far East. Vincent did not have any money. His brother Theo supported him a lot. They were close. Van Gogh was very sick, in the result he had very strong mental disorder. For example, after altercation with painter Paul Gauguin, he cut off his ear and gave it to the prostitute. He was hospitalized several times in a psychiatric hospital. The sickness did not prevent him from painting masterpieces, but it forced him to return to Auvers-sur-Oise near Paris in 1890. Finally, he shot himself in the stomach after 37 years of his life. Vincent van Gogh painted his first painting in 1881. He painted the most famous masterpieces in the last two years of his life. He died in 1890. Over these few years, he created more than 2000 arts including 870 paintings. 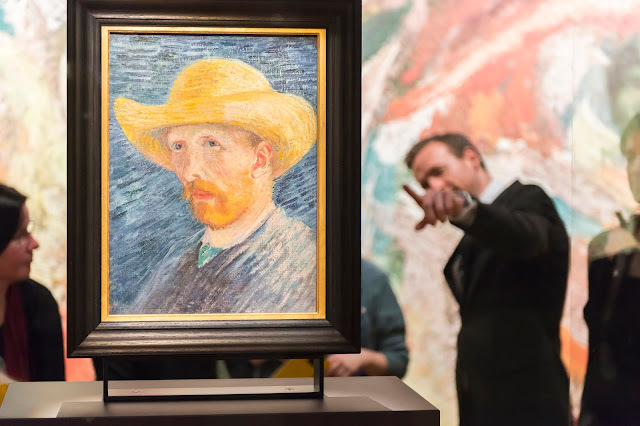 Many of his paintings are worth dozens of millions euro. His art is one of the most valuable among other great painters. Anyway, he died as a poor man. Only one painting was sold during his life, it was "The Red Vineyard" sold by 400 Francs of that time, today it would be $1000 - $1050. 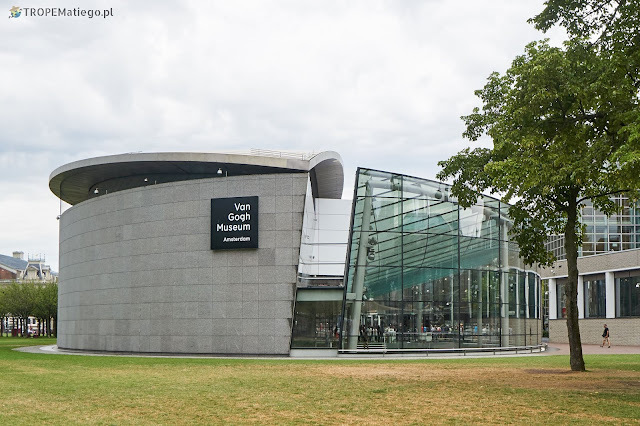 The Van Gogh Museum has collected big number of his paintings, including "The Potato Eaters", "The Sunflowers", "The Yellow House", "Bedroom in Arles", "Self-Portrait as a Painter" 1887-1888, "Almond Blossom" and many other. The collection is shown in chronological order. At the beginning, we discover his first paintings that were grey and dark. In the next rooms we see how he discovered power of colours. At the same moment there are shown other paintings he could see, that could have impact on him. From the Paris period we can see paintings from painters whom Vincent met. There are also Japanese paintings that had big impact on many painters of that days, including Vincent. In the museum you can get to known the painter's history and see how his art evolved over the few years. 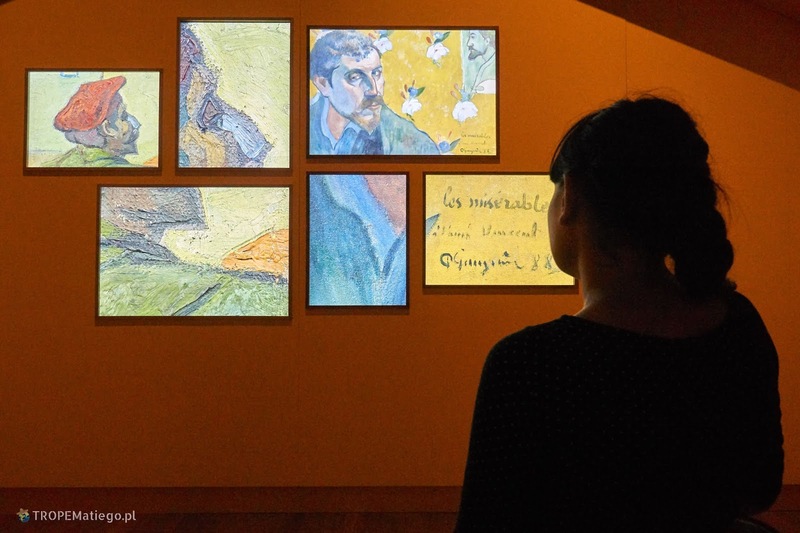 To make it even better, to travel through the painter's world more deeply and understandable I highly recommend watching movie "Loving Vincent" before visiting the museum. The museum is famous all over the world, so there will be many other visitors. Sometimes you may need a bit of patience, because it may be crowded. Tickets may be purchased via the internet, but exact time of arrival must be provided. So, it's good to not be late as the tickets may expire. It is possible that not every hour is available, so it's better to order the ticket in advance. 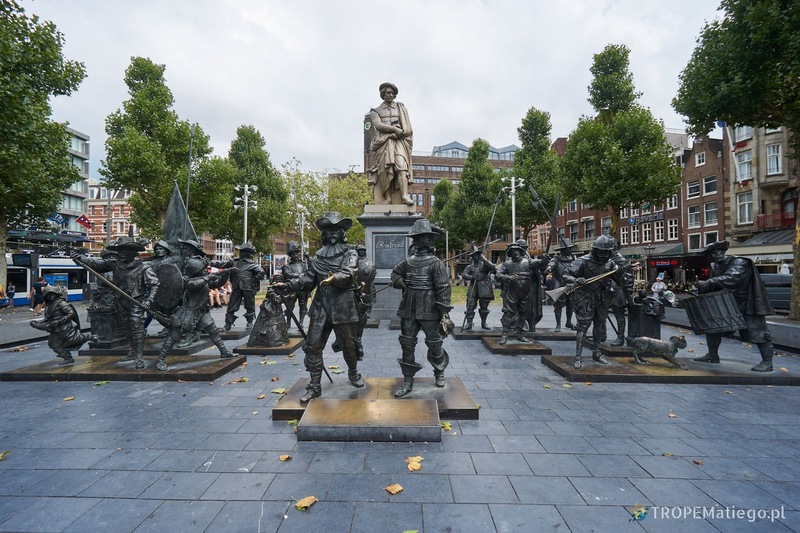 Monument at Rembrandt Square presenting famous Rembrandt's painting called "The Night Watch"
Rembrandt was born in miller's family. He was one of eight children. He studied at Leiden University, but he resigned quickly to learn painting. He studied it in the Jacob van Swanenburgh's studio. After three years he continued apprenticeship at Pieter Lastman. 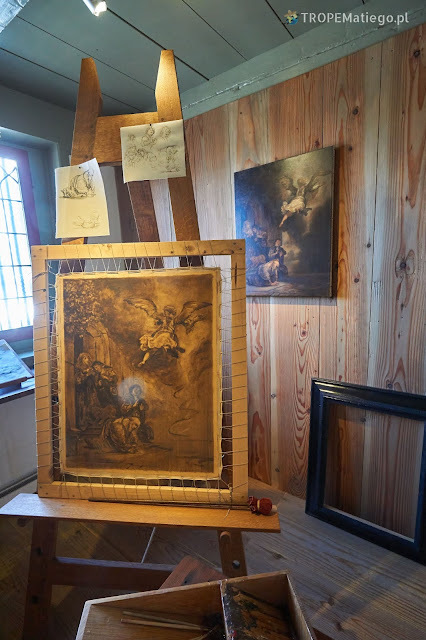 He opened his own painting studio with colleauge Jan Lievens. The turning point in his carreer was the visit of Constantijn Huygens. Constantijn was very powerful person in the Netherlands. His orders were the best possible advertisement for Rembrandt. His position grew. He did not have to be worry for new orders. He was also getting prestigious orders from art dealer Hendrick van Uylenburgh. A few years later he married Hendrick's niece, Saska van Uylenburgh who was the mayor's daughter. She came with huge dowry for the marriage. Unfortunately, she died young, at the age of 30. Several years before her death Rembrandt bought a prominent house in Jewish quarter. The house was extremely expensive. When he stopped paying mortgage, his fortune was auctioned. He died as a poor man in 1669. Van Gogh and Rembrandt created masterpieces. They are one of the most valued painters in the world. Despite this, they lives were completely different. Van Gogh had no luck in love and he had no money. He never got any order, he sold only one painting in his life. He painted his 870 paintings and even more sketches, drawings in letters within only a couple of years. Rembrandt painted for most of his life. He was a respectful artist who got prestigious orders. He was a known citizen, he married the mayor's daughter. He had also other painters working for him, he trained many of them. 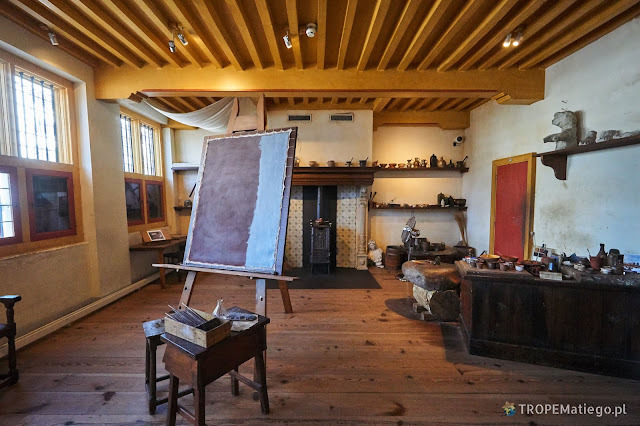 Van Gogh did not manage to establish his desired painting studio in the yellow house. Practically, no one was interested to work with Vincent. Many artists worked at Rembrandt's studio. Often they helped him to finish orders. The Rembrandt Research Project was started in Amsterdam. The goal is to verify which paintings were painted by Rembrandt and which one by his students. In 50 years they reduced paintings assigned to Rembrandt from 988 to about 300. Except paintings he also created 300 graphics and 2000 drawings. Rembrandt liked to draw ordinal people. He was also an art dealer. He lost his fortune, because he bought very expensive house with mortgage. When he couldn't pay off the loan, creditors auctioned everything that belonged to the painter. 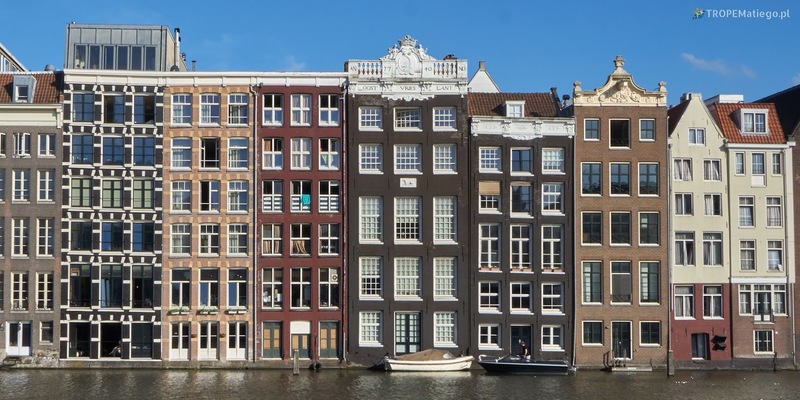 He moved to a small house in the Rozengracht district. Currently in the big house is museum. Audio guides are included in the ticket. They give information about every room available for sightseeing. The guides work very well. To listen to information about the room, simply place the equipment on the reader at the entrance to the room. 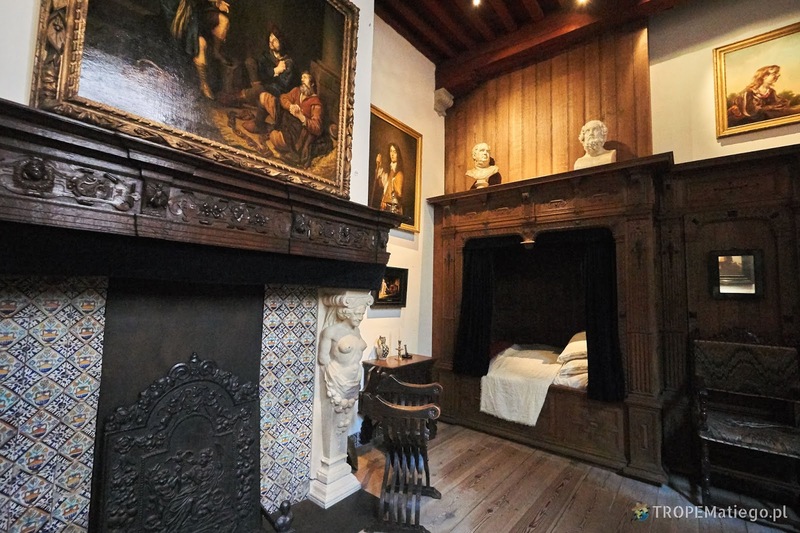 The rooms are prepared very carefully to show the ambiance when Rembrandt lived here. The visit starts from the kitchen, then living room, room for guests, bedroom and painting studios on the upper floors. Rembrandt gathered a large collection of various objects, often very expensive. They were used as models in his paintings. At the end, there is exhibition of his drawings with ordinary people. An interesting fact. Rembrandt is not a surname but a name. His full name is Rembrandt Harmenszoon van Rijn. 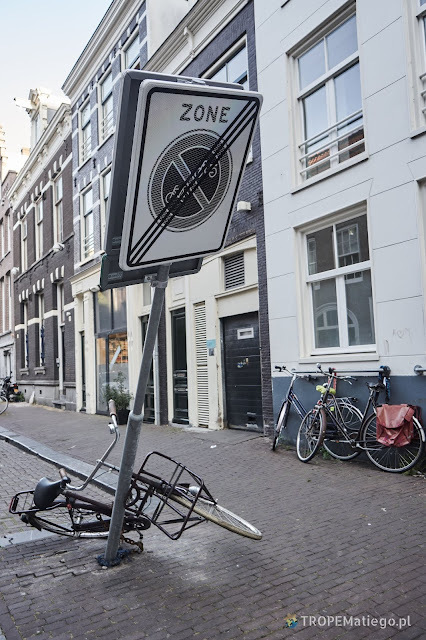 Amsterdam introduced LEZ - Low Emission Zone. In the result, there are restriction to enter the city center. Hopefully, these restrictions do not apply for normal cars. In the city center, the streets are narrow, full of people and parking spots are overcrowded. One hour of parking costs a couple of euro. Due to all these problems, I don't recommend to drive to the city center. Good alternative is parking P+R. Unfortunately, P+R car parks are not for free. It's not a common approach, for example such parking in Bruges, Antwerp, Luxembourg, etc. are free of charge. The target is to decrease number of cars in the city center by promoting the public transportation and P+R car parks. It's not easy to convince people to use a parking few kilometres away from the target point that costs. Hopefully, P+R car parks in Amsterdam offer a discounted tickets for public transportation. In the final calculation it pays off. The way how it works may be unclear to visitors, so I put an instruction how to pay 1 euro for the parking instead of normal rate. The location of P+R car parks is available at this linkiem. There is different price depends on the date and time of arrival. On workdays before 10 am it costs 8 euro, after 10 am and on the weekend it costs 1 euro. After you park your car, you have to go to the parking machine and buy a special ticket for public transport. Without this ticket you pay regular price when you come back, it may be even 20+ euro. The ticket is for one trip there and back. The ticket prices are very affordable (1 ticket: 5 euro, 2 tickets: 5 euro, 3 tickets: 5,90 euro, 4 tickets: 6,80 euro, 5 tickets: 7,70 euro). For comparison, ticket for one journey without that discount costs 3,50 euro. You can save 9 euro if you travel with one passenger, 27,30 euro with five people. Note, the machine doesn't accept payment by cash, only the card. Now you can go to the city. After the return, you need to put the parking ticket into the parking machine. A large amount of payment pops up. Now you have to put the special ticket for public transport at the reader. The payment amount should be reduced to 1 or 8 euro, depends on the date and time of arrival.